Could YOU use your talents or do something you’ve never done to raise support for West Papua? Could YOU take the #FreeWestPapuaChallenge? Over the years, around the world people have undertaken incredible and inspiring acts of solidarity with West Papua, by themselves and in groups, to raise much-needed awareness and funds for the Free West Papua Campaign. From Jeremy Bally, who cycled 12,000km in 7 countries, to Jake Toivonen, who climbed a cliff face in Australia despite his fear of heights, people everywhere have undertaken dramatic acts of solidarity to raise much needed awareness and funds for West Papua. Now we’re inviting everyone to take the Free West Papua Challenge! 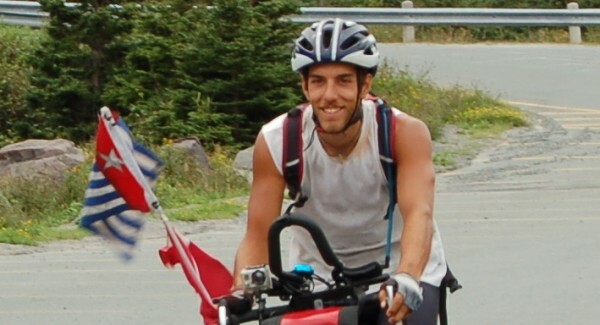 Canadian man Jeremy Bally cycled over 12,000 km in 7 countries to support West Papua! Get an idea! – It can involve just you or a group and can be a one off event or a long-term sponsorship, from climbing to skydiving to cycling to playing music, everyone can make a difference for West Papua! Get in contact! – We’re always happy to hear from supporters about their exciting new ideas for how they can support West Papua, no matter how simple or wacky these ideas might sound! 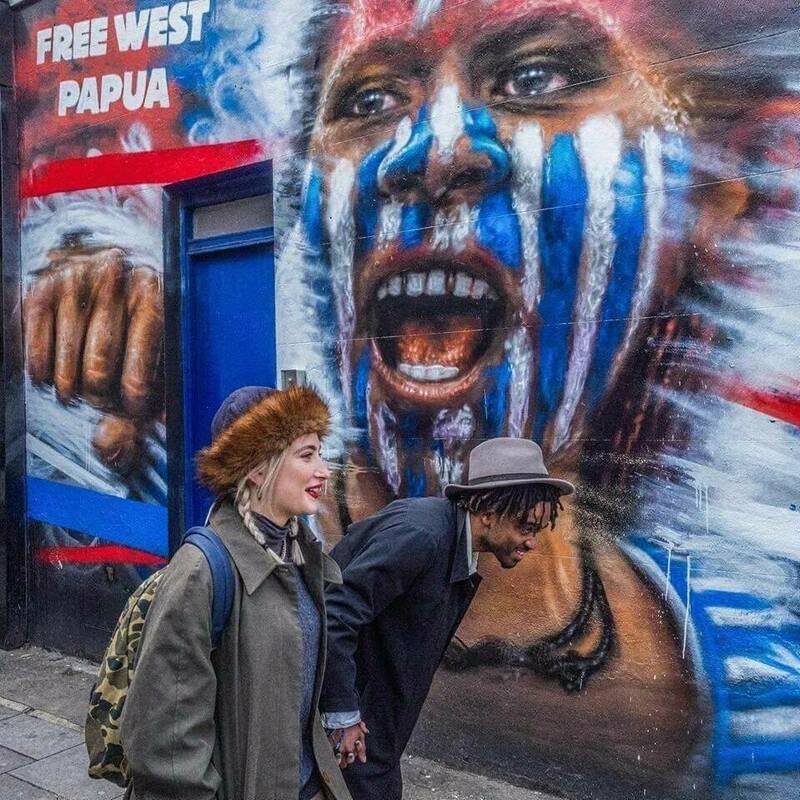 Email us via office@freewestpapua.org and we’ll be in touch to offer advice and support and help to promote your ideas and show your support to the world! Get sponsored! – Think of fun and exciting ways you can get sponsored for West Papua, whether it’s from an online page or from donations from friends and family. Sponsorship is a crucial part of fundraising for West Papua. Could you raise over $300 for West Papua? Again let us know about how you’d like to get sponsored for the cause and we’ll promote it around the world, encouraging others to support your effort. And that’s it! It really couldn’t be simpler and there’s never been a better time to Take Action for West Papua and raise much-needed, awareness, funds and support for a people and their struggle which far too often is forgotten by the outside world. All funds raised will go directly to this Campaign for a Free and Independent West Papua. For more information, please visit here. CLICK HERE TO TAKE THE FREE WEST PAPUA CHALLENGE! 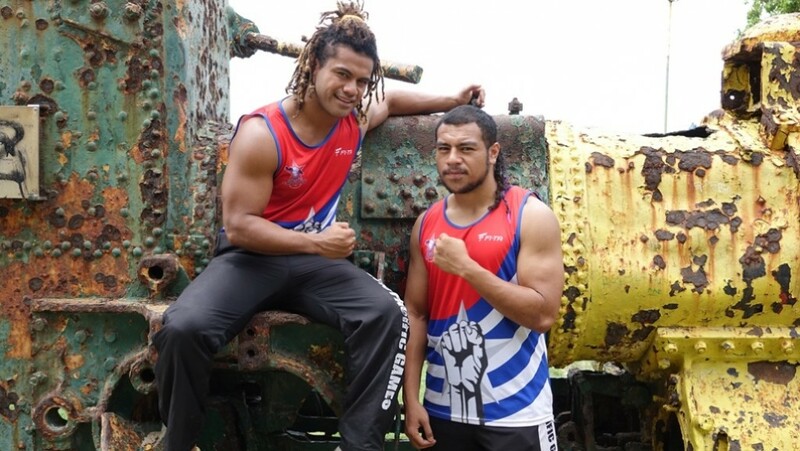 Papua New Guinean brothers Tala and Tomasi Kami decided to form a rugby league team, the “West Papua Warriors” to raise awareness for West Papua. Be inspired by other examples of people who have used their talents to help support West Papua’s freedom! Take a look at Climb for West Papua below, the inspiring story of how a man with a lifelong fear of heights climbed the “Sweet Dreams” cliff face for West Papua’s freedom. Watch the full film here.